Location: The Beach, The E-Reader, The Plane, The Himalaya's and my deck!!! Well the school year ends here in New Zealand and with it this blog until February. Thanks to all of you who have followed it this year and we will be back in 2014. 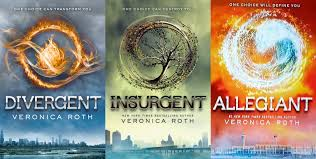 I have loved doing this blog, it has introduced to me some amazing books. My favourite book in 2013 was the Unusual Pilgrimage of Harold Fry, but I also loved Fault in our Stars, I remember reviewing it for the blog and before I knew it my day had been lost in a book. It was a good day! Another good day was when the Year 13s wrapped the library, I was rapt too! Looking for Alaska- John Green. BE BACK IN FEB!!! HAVE A GREAT SUMMER HOLIDAY IF YOU ARE FROM NZ AND AN AWESOME CHRISTMAS TO ALL OUR BLOG FOLLOWERS!!! Genre: pull ya heart out, stand, yell and cheer the dude on!!! 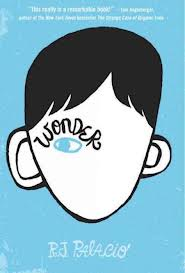 This book has been the surprise of the year in the library, loved by all who read it, students, adults and friend alike. So to honour that here is the trailer. I know what you are thinking- she works in a library so of course she is going to love this book. You would be correct! It is wonderful and I can't wait to show it to all our patrons! Mr. Lemoncello is an eccentric board game inventor who has donated a public library in his small hometown. This is the ultimate in technology, fun and creativity and a select few will get to spend the night in it before it opens to the public. 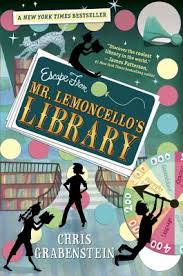 What quirky Mr. Lemoncello doesn't share with the lucky winners is that...moreI know what you are thinking- she works in a library so of course she is going to love this book. You would be correct! It is wonderful and I can't wait to show it to all our patrons! Mr. Lemoncello is an eccentric board game inventor who has donated a public library in his small hometown. This is the ultimate in technology, fun and creativity and a select few will get to spend the night in it before it opens to the public. What quirky Mr. Lemoncello doesn't share with the lucky winners is that they will have to solve a series of puzzles to escape. It is Jeopardy! mixed with Charlie and the Chocolate Factory mixed with The Mixed Up Files of Basil E. Frankweiler and the game of Clue! Full of action and wonderful challenging puzzles- author Chris Grabenstein knows how to grab the attention of middle schoolers since he is the co-author of the popular series with James Patterson. This is a wonderful trip down memory lane for the parents, one all night Trivial Pursuit game and everyone in the family will enjoy rhe read.